According to the 2015 Cloud Security Survey, the hybrid cloud is the most widely used cloud computing deployment model. However, the majority of companies think that the adoption of the cloud is unsafe, because it lacks visibility into user activities. 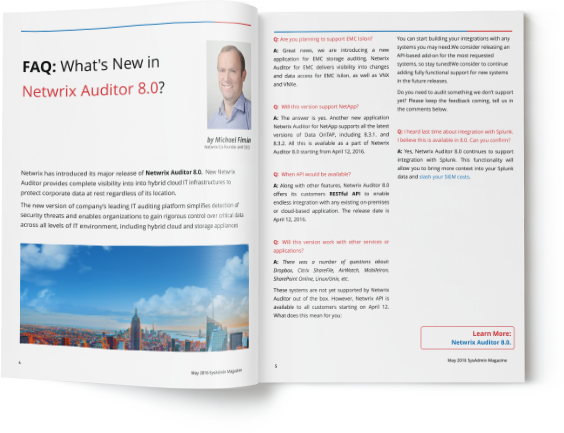 This can increase the risk of unauthorized access to sensitive data, data breaches and account hijacking. While attackers continue to evolve their techniques, the IT community more than ever needs to raise awareness about major security issues and the best practices to tackle cyber threats. 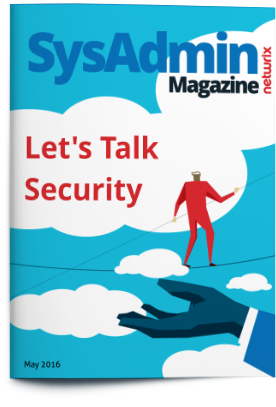 In this issue of SysAdmin Magazine, we talk about advanced techniques that help enhance organization’s IT security both on premises and in the cloud.